Come back in the Spring of 2019 for a new season of golf in Sanford, Maine. Located on Main Street in Sanford (right across from Shain’s Ice Cream and just off the traffic circle), Pine Hollow Little Par 3 offers a full 18-hole golf course of challenging fun for the whole family. Our Little Par 3 golf course features holes ranging from 30 yards to 80 yards with grass bunkers and water hazards to test your golfing skills. 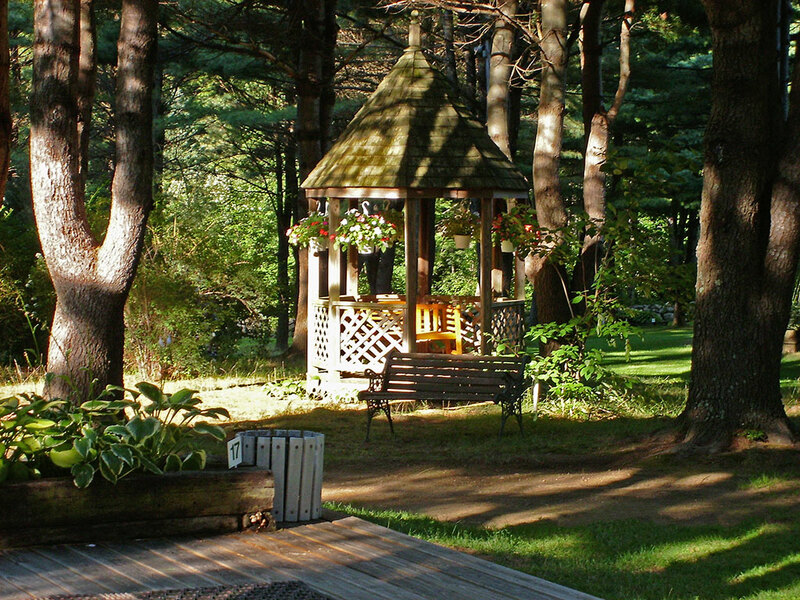 The Pine Hollow golf course is meticulously maintained and numerous trees (and the occasional gazebo) provide comfortable shade on hot summer days. Open daily from 9:00 a.m. until dusk. 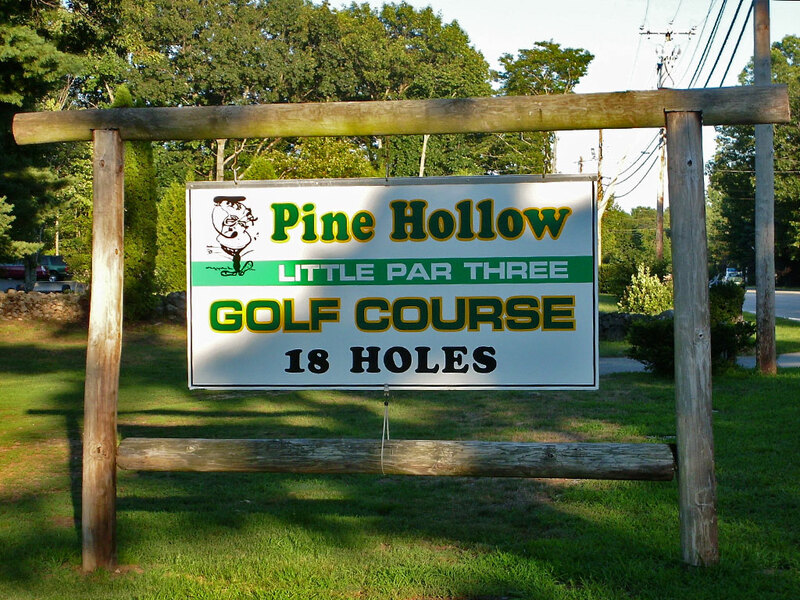 Pine Hollow Little Par 3 offers affordable family fun all summer long. If you’re headed back to camp after your golf rounds, be sure to pick up a bundle or two of firewood; only $4/bundle. Not golfing? No problem. Drop by for a bundle. It is with heavy hearts that we announce the unexpected passing of Pine Hollow Little Par 3’s founder, Robert E. L’Heureux, on February 9th, 2019. Pine Hollow Little Par 3 is now closed for the season. Stay tuned for our spring opening date in 2019. Sam Mercier receives the winner’s trophy at Pine Hollow Little Par 3’s Championship Golf Tournament. 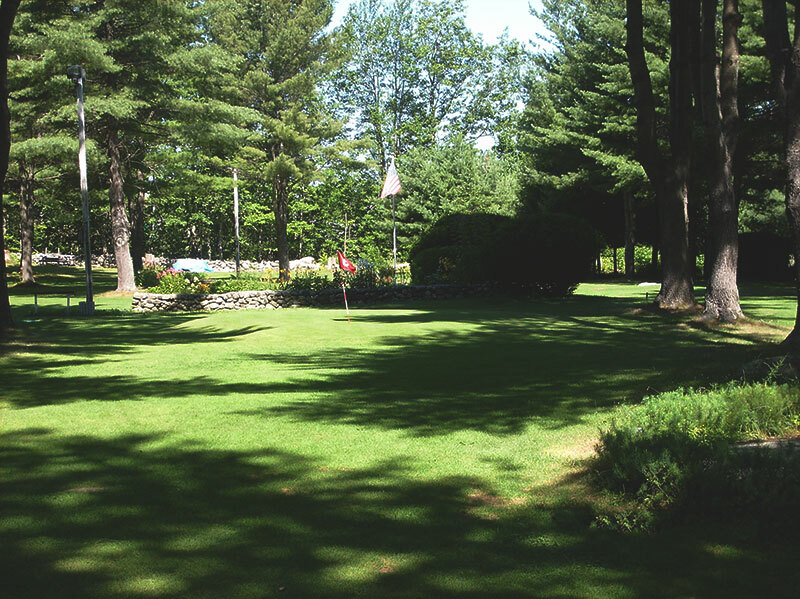 Take advantage of these beautiful summer days by playing a round of golf on our beautiful par 3 golf course in Sanford, Maine. After a delayed opening due to soggy conditions, Pine Hollow Little Par 3 is ready to open for the season.